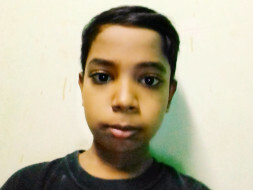 Master Ritish (12 years) is diagnosed with Thalasemmia and is on Life support system. He has to undergo a bone marrow transplantation for survival. 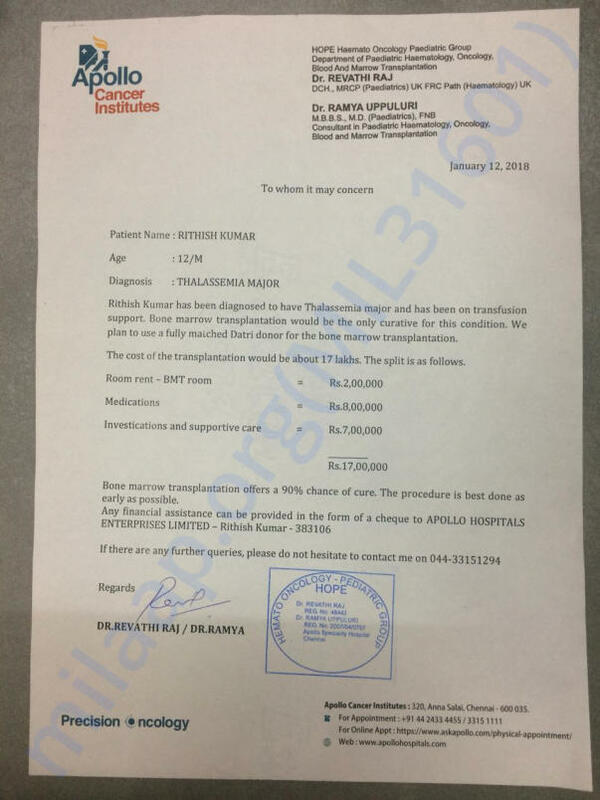 This surgery costs Rs 17 Lakhs (Seventeen Lakhs, pls refer the cost breakup provided by Apollo Hospitals).Ritish only support is his mother Sujata who is a domestic helper, his father left them long back. Even a single rupee can make a huge difference, contribution can be made to either V.Sujata or directly to Apollo Hospitals referring to ID(Ritish Kumar -383106) (Pls refer the pic or contact us for more details). A journey of thousand miles starts with a single step and so is this fund raiser, every rupee of yours counts….